The ECO HP-15 is a DOT-exempt salvage cylinder for transport or storage of leaking, damaged, or deteriorated compressed gas cylinders. 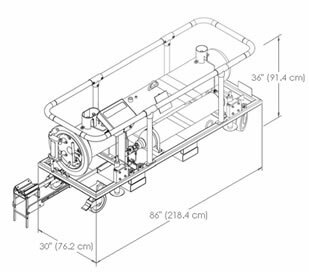 Fabricated of carbon steel to ASME Section VIII Lethal Service standards, the vessel is rated to 1480 psig, enabling it to safely contain virtually all sizes of commercial cylinders up to pressurizes of 2500 psig. Gases inside the salvage cylinder can be withdrawn via a valve and either directed to an appropriate scrubber or repackaged. 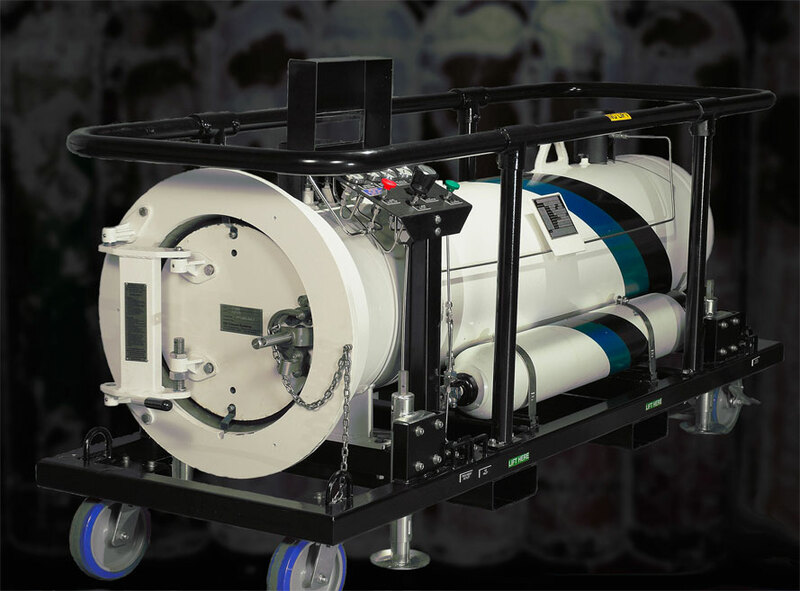 The ECO HP-15 can be safely used for cylinders and other containers up to 15 inches in diameter, can be licensed for use with a specialized cylinder penetrator system, is available with a small cylinder adapter, and can serve as a small-scale chemical reactor. All handling functions are designed for use by personnel dressed out in full chemical protective gear. The unit is particularly useful in first response situations where immediate action is required or in situations where it is necessary to move a leaking or deteriorated cylinder without risking an uncontrolled gas release.